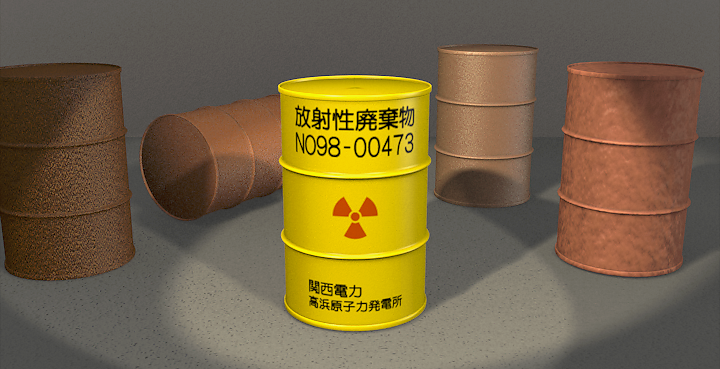 Stainless steel canisters contain vitrified high-level radioactive waste as represented by a CG Image. Drums store low level radioactive waste as represented by a CG Image. The kit is an imitation of injection molding kit and is rather complicated as I have chosen to imitate industrial production by handicraft. That is to say, these kits are entirely hand-made and are not machine produced.